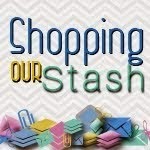 It's Tuesday...that means it's time for another Shopping Our Stash challenge! This week's theme is "Miss You" be sure to visit the SOS BLOG for all the details on this challenge and to show my teammies some crafty love!! I knew right away that I wanted to use my Operation Write Home stamp set from Hero Arts, it's perfect for this challenge. I also knew somewhere in my stash I had DP with houses on it...only had to look through 4 drawers to find it way down near the bottom! This is just delightful! Love the fluffy clouds and that wonderful belly band. Very nicely done! I MIGHT HAVE THAT PAPER! Or not. Only four drawers to find it, huh? Way to GO! HA! It's a perfect paper for that sentiment, and such fun colors, too! Four drawers of patterned paper? Impressive. ;) Perfect card for the theme, and so much fun to beet! Super card Donna, Bloglovin wouldn't let me comment on your blog from there good job I have you on mine. 4 drawers of paper? Impressive! But riffling through all of them to find that paper was soooo well worth it! Fabulous card my friend! This is too perfect! I love that house paper - isn't that funny when we KNOW we've got the perfect 'thing' but it takes so long to find it you start to doubt your sanity/memory? BTDT! What a fun and funky card! I'm glad I found the SOS challenge blog. Y'all do great work and of course the reminder to use what we have!! !